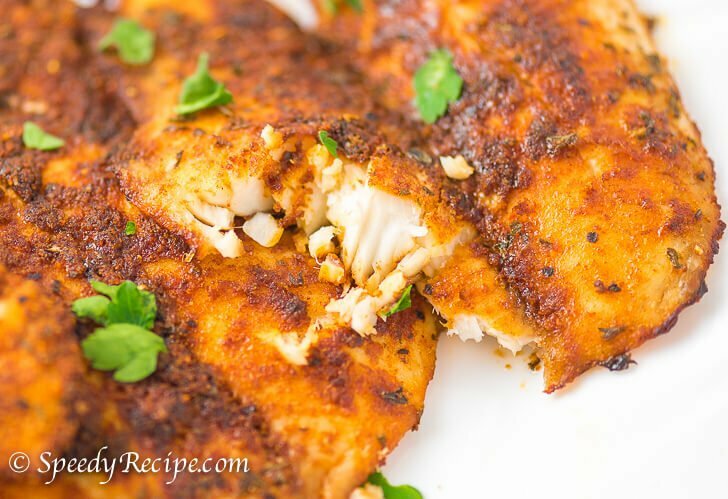 This Blackened Tilapia recipe will give you tasty and flaky tilapia fillets good for three persons. You can eat this with wild rice or quinoa, and even top it on salads. Try to squeeze some lemon on top to give it that fresh taste. 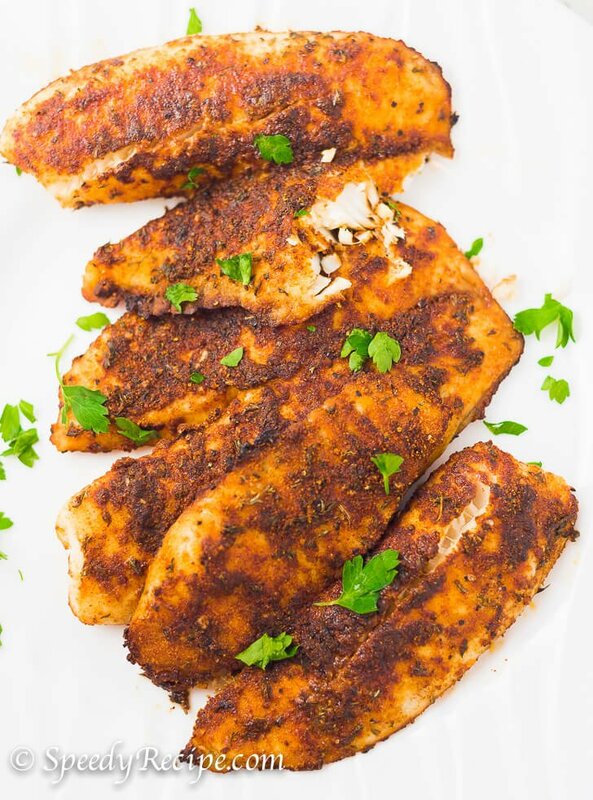 The flavor of Oven Baked Blackened Tilapia depends on the rub. 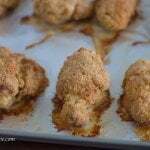 This is a mixture of paprika, onion powder, salt, ground black pepper, garlic powder, and Cayenne pepper powder (this is optional). Make the rub by combining these ingredients in a bowl. Make sure to mix the ingredients thoroughly until blended. Once the the rub is ready, it is time to prep the tilapia fillets. Pat dry the tilapia using a paper towel. Coat some oil all over the tilapia fillet. You can do this by using a cooking oil spray or by simply rubbing cooking oil using your hands. The oil will help the rub stick to the fish and will also assist in bringing-in the dark color when baking. Coat the tilapia with the rub mixture. Let it stay for 10 to 15 minutes. This is the best time to preheat your oven because the fish will be ready once your oven reaches the desired temperature of 400 F. Bake the tilapia for 12 to 14 minutes. The baking time will vary on the size and thickness of the fillet. The baking time indicated is for medium sized fillet. Add more time if your tilapia fillet is thicker. Pat dry the tilapia fillets using a paper towel. Set aside. Combine paprika, Cayenne pepper, onion powder, garlic powder, salt, ground black pepper, and parsley flakes in a bowl. Mix well. Spray cooking oil on each tilapia fillet and then rub with the paprika mixture. Turn the fillet over and rub the remaining mixture on the other side. Lay an aluminum foil over a baking tray. Spray cooking oil on the foil and arrange the fillet on top. Spray some cooking oil on the tilapia fillet. Bake for 12 to 14 minutes or until the fish is done and flaky. Please send me your recipes. Thanks. Delicious! I cooked mine longer because I like it extra crispy. Very good flavor & nice with the cayenne added.